The cat was warmed using towels, cage warmers and intravenous fluids. Fluffy is normally a little crabby, so when she began growling after about an hour, the vet knew she would be fine. 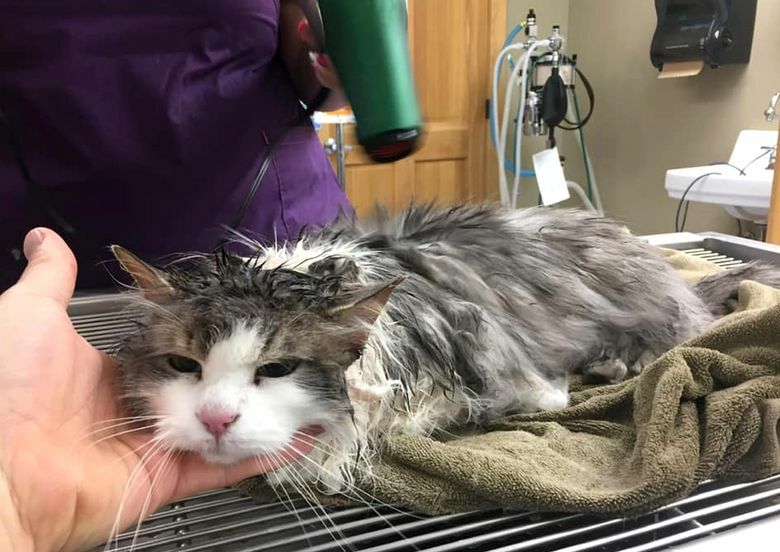 The owners came home early last Thursday to find that Fluffy had been crusted onto a hard-packed snowbank, as if she’d been sitting in one spot for a long time while the blowing snow drifted up around her, Clark said.